By the skin lesions, we mean the part of the skin that experiences an abnormal growth. The problem affects both men and women of different ages. Dermatologists suggest a skin lesion removal treatment to deal with this skin condition. The skin lesions should not be ignored as they are often an indication of a bigger problem. In general, skin lesions removal treatment is completely safe and secure. In this topic, we are going to discuss the treatment meaning, results, benefits, machine, candidates, aims, procedure, cost, pre-op care, post-op care, free consultation, and 25% discount offer. What is Skin Lesions Removal? By the skin lesions, we mean the part of the skin that experiences an abnormal growth. First of all, the problem is of minor nature most of the times. In some cases, the problem could be linked to a skin disease, and it is important to have it checked at the earliest. Secondly, we have many options when it comes to removing skin lesions. In the next part of the page, we will discuss the results and benefits of skin lesions removal treatment. It makes you look beautiful. It is a non-surgical treatment. It makes the skin smooth and clear. It removes the cancerous skin cells. Prevents the spread of cancerous cells. The patient experiences no pain during it. The patient gets the desired skin resurfacing results. At the Laser Skin Care Clinic, we always use up-to-date equipment. We are among the early adopters whenever the new technology is commercially available. We have discussed here the device used to perform the treatment. We will now discuss what makes a person the right candidate for this treatment. As a matter of fact, there are different types of skin lesions. Keeping this fact in mind, the skin care experts have designed a number of skin lesions removal techniques. In this part of the treatment page, we will shed light on the important methods for skin lesions removal. Shave Excision – Surgical Treatment – We can use shave excision technique to remove the skin lesions that rise above. A small blade will be used to cut the topmost layer of the skin. It will be followed by complete removal of the lesion. Applying the medication with bandages or stitches will conclude the treatment. Scissor Excision – Surgical Treatment – It is similar to the shave excision technique. The difference being the use of two scissors instead of the small blade. The doctor will use the forceps (a type of surgical tool like scissors) to pull up or grab the lesions. The treatment will be concluded by applying medication with bandages or stitches. Cryotherapy – Freezing Technique – It is a short treatment where the professional applies a special solution onto the skin lesion with a cotton swab. This leads to the formation of ice crystals in the lesion that breaks up the lesion cells. In the end, the lesion will be picked to finish the treatment. Laser Treatment – Non-Surgical Treatment – As its name suggests, laser technology is used to remove the lesion in this technique. The high-frequency laser beam heats up the lesions cells until they burst. Eventually, the lesion will be destroyed. Often, more than one sessions are needed to destroy the lesion. Step 1: The local anesthesia will be applied to numb the treatment area (to avoid pain and discomfort). Step 2: The doctor will use the excision, laser, or freezing (depending upon the lesion nature) to remove the lesion. Step 3: The treatment area will be medicated and closed with bandages (or stitches if needed). Step 4: Another treatment session may be needed if one session is not enough to eradicate the lesion. It is important to maintain a healthy food intake. It is important to go through the prescribed lab tests. It is important to take the prescribed medications regularly. It is important to quit smoking one week before the treatment. It’s important to discontinue the blood thinning, anti-inflammatory medicines days ago. In general, skin lesions removal treatment is completely safe and secure. The treatment could be performed through a surgical and non-surgical technique. We are now going to discuss the recovery and post-operation care in the case of a non-surgical treatment using the laser. You may also experience fever or chills for a short time. The bleeding, swelling or infection is often observed; but it is rare. You may experience slight pain or discomfort after the treatment. The pain and discomfort after the treatment could be dealt with medications. You may be left with small scars that will gradually fade by the passage of time. It is important to keep an eye on the wound. Inform the doctor if any unusual thing happens to it. Keep applying the medication prescribed by the doctor. Try your best to keep the wound dry for 48 hours after the treatment. If needed, gently wash the area around the wound with soap and water. Avoid rubbing and washing the treatment areas if you also have stitches. The nature of the skin lesion. The number of treatment sessions. The experience of the skin care professional. The qualification of the skin care professional. 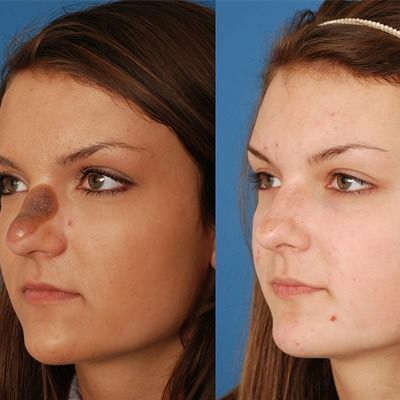 The skin lesions removal treatment is very famous these days. If you have got one or more skin lesions on the body, you should consider the latest skin lesions removal treatment offered by the Laser Skin Care Clinic. If you are ready to get this treatment, we invite you to our clinic for a free online consultation with one of the leading skin care experts on our team of dermatologists. If you book a free appointment now, you will be eligible for a 25% discount. This offer is going to expire soon; act now and get flawless skin! You Don't want to Miss Our Offer on Skin Lesion Removal . Fill in The Form To Avail Our Special Offer For You!